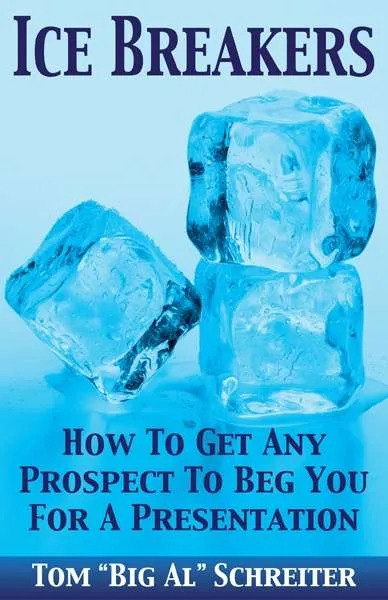 Learn how the pros get instant rapport and cooperation with even the coldest prospects. The #1 skill every new distributor needs. Why can’t salesmen sell? And why won’t prospects listen? Want to hear an excerpt from the audio book? Order the audio book here. We offer great products to prospects. We say great things to people. We share our vision and passion with others. And they don’t buy, they don’t believe us, and they don’t share our vision and passion. We say great things, but people don’t believe us, and they don’t trust us. So we don’t need more good things to say. Instead, we need to learn how to get people to believe and trust the good things we are saying already. It’s not about the presentation. It’s not about the price. It’s not about the salesman’s breath. It is not about the leader’s Power Point presentation. It is all about the magical first few seconds when we meet people. 1. Trust you. Believe you. This decision is immediate, and unfortunately, usually final. Tom “Big Al” Schreiter shows us exactly how to build that bond of trust and belief with prospects in seconds. How? By talking directly to the decision-making part of the brain, the subconscious mind. 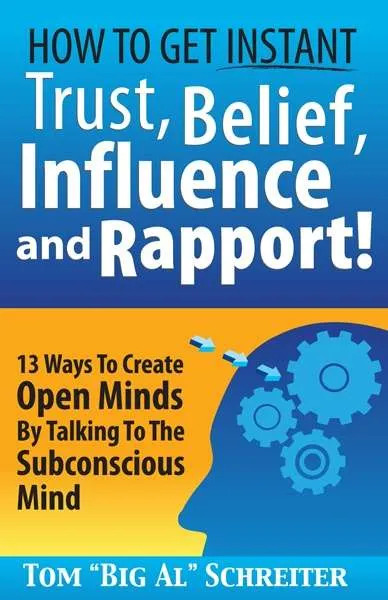 In this book, How To Get Instant Trust, Belief, Influence And Rapport! 13 Ways To Create Open Minds By Talking To The Subconscious Mind, you will learn easy four and five-word micro-phrases and simple, natural techniques that you can master within seconds. Yes, this is easy to do! Your message should be inside of other people’s heads, not bouncing off their forehead. Your obligation is to get your message inside of their heads so they will have options and choices in their lives. Now, if you can’t get people to trust and believe your message, then you will effectively be withholding your message from them. Use these tested, clear techniques to build that instant rapport with other people and then, everything else is easy. If you are a leader, a salesman, a network marketer, an influencer, a teacher, or someone who needs to communicate quickly and efficiently, this book is for you.